Celebrate and recognize the sustainability leaders across the University of Washington, by giving us us your nominations for the 2019 Husky Green Awards. The Husky Green Awards recognize students, faculty, staff and teams from all UW campuses who demonstrate initiative, leadership and dedication to sustainability. The awards depend on nominations from the UW community to identify these sustainability superstars. The Husky Green Awards are sponsored by the UW Environmental Stewardship Committee, and are the only recognition program at the University which recognize a commitment to sustainability. The nomination deadline has been extended to March 10. Winners will be recognized during UW's Earth Day celebrations in April. Nominations should include information on how the nominees fit the award nomination criteria of leadership, initiative and dedication. Let us know how your unsung sustainability role models have made a difference to the campus and our community. 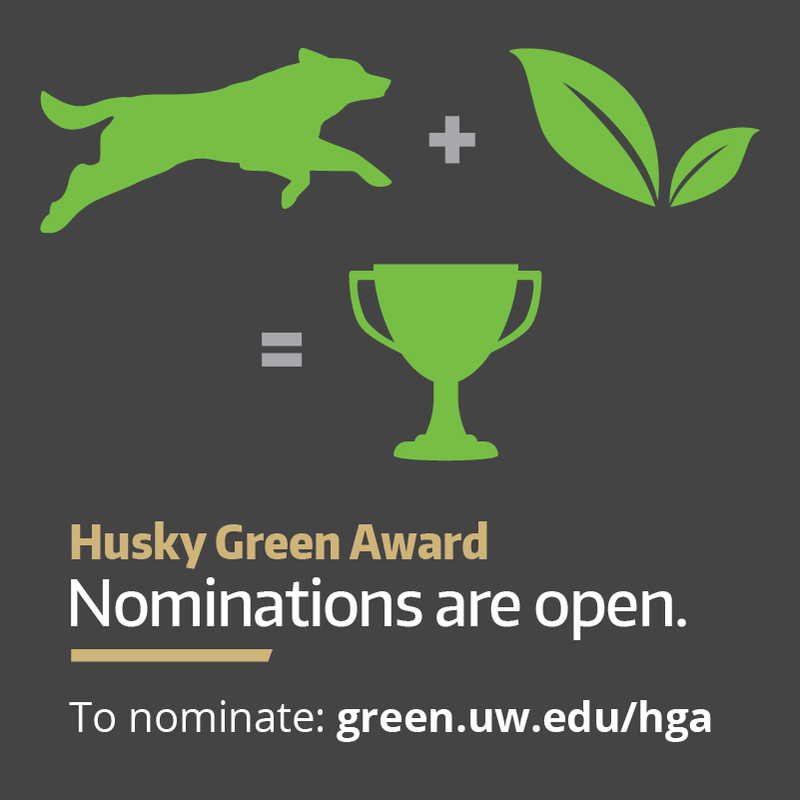 Visit green.uw.edu/hga for the nomination form and full submission information. Learn about the 2018 Husky Green Award winners here.